And just like that it is August 1st. Summer feels half over and we have hardly gone camping let alone on a summer road trip – which I was really hoping for. We did however get over to Tofino for a quick weekend trip at Bella Pacifica campground – forever a favorite. No pictures were taken due to constant beach lounging and beer drinking. Until our next road trip I will just have to look back over our BC road trip from two summers ago…wow, that long ago already?! Can’t stop, won’t stop with the Backroad Mapbooks. 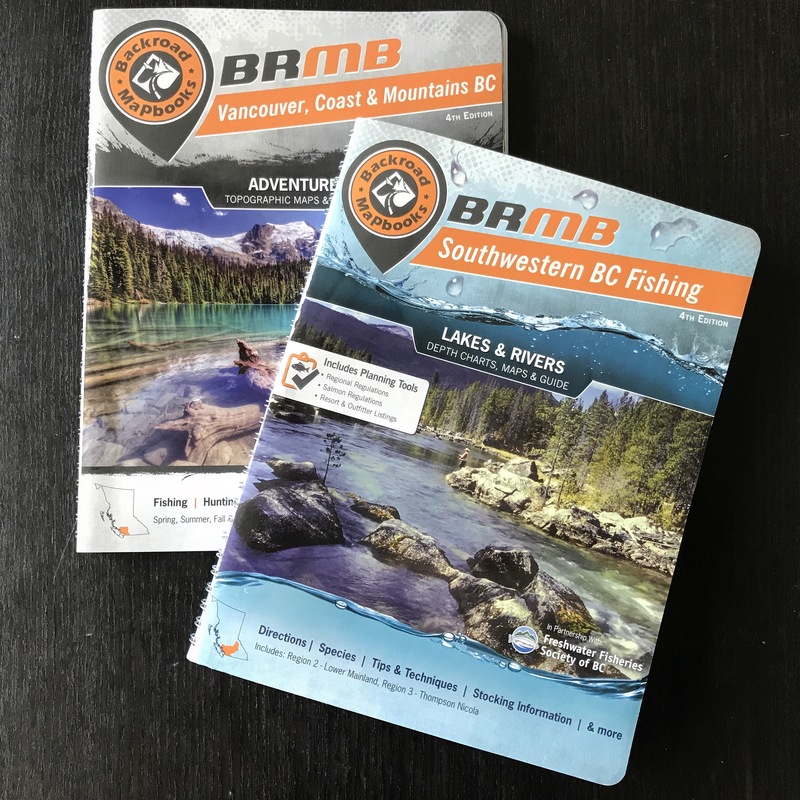 Picked up Vancouver, Coast and Mountains for Joe and I, and the Southwestern BC fishing for a buddy.